In the States there is a common argument that celebrities are given honorary degrees in the vein of 'doctorate for publicity'...but it works right? Not every celebrity can be James Franco and earn various degrees while still working. In Canada, honorary degrees are given to a different set of people - you know, the ones that actually do legitimate things in their field and get recognized for their years of service. Was I surprised that the speaker at my graduation was the founder of Doctors Without Borders? No, but I would have rather had someone witty and famous. We all would (I am making a vast generalization, but I am pretty sure on the whole I am right). Sometimes universities in Canada get a little glamorous with their honorary degree recipients. This year there was a small handful of people you may recognize that received some unearned (in the classroom) slips of paper. Deepa Mehta is a Canadian filmmaker who premiered her latest work Midnight's Children last year at various festivals. She received four honorary degrees from the University of Alberta, Concordia University, Mount Allison University and Ryerson University. What a sweep. Bif Naked, Canadian singer, received an honorary degree from the University of the Fraser Valley. Whatever happened to Bif Naked? Seriously, this is the first I have heard of her in almost a decade. Canada's Next Top Model judge Jeanne Beker received one from Saint Mary's University. I know you are now trying to remember the last time you saw Canada's Next Top Model, it was in 2009. Canadian country singer Johnny Reid received an honorary degree from Bishop's University. To my knowledge he did not sing his speech. 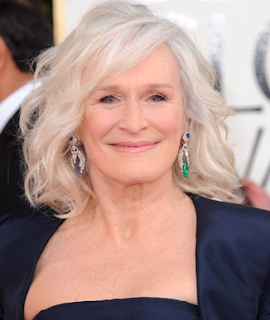 The most notable recipient this year goes to Glenn Close who will receive an honorary degree from Queen's University on Thursday. The six time Academy Award nominee will receive an honorary doctorate of laws. In contrast, who did the Americans get this year? Well, Harvard got Oprah. A couple places got President Obama and so on...Bill Clinton (Howard University), Robert Redford (Westminster College), Stephen Colbert (University of Virginia) and Joss Whedon (Wesleyan). There's more, but you get the gist. It's a pretty stark contrast. I mean, Glenn Close is pretty cool, but she's no Oprah. Big Naked is still around. She had cancer a while back. She's on twitter.